Greetings Home Movie Day fans! As many of you know, the annual Home Movie Day event occurs each October. Because of a hectic season here at the HFA we will not be hosting the event next month. Instead, we’ll hold an alternate HMD Boston next spring on MAY 6 2017! Details will be announced here on the HFA Collections Blog as the date approaches. In the meantime, feel free to contact us for home movie advice and questions regarding film care for your family treasures. This entry was posted in HFA events, home movies and tagged Home Movie Day on September 24, 2016 by conservator3. Today at work I looked at some anonymous home movies that are deteriorating, to decide if they’re worth keeping or not. Since every home movie is different, I had to watch them to gauge their worth – it’s impossible to tell quality from looking at them through a loupe on the bench. This was a box of ten or so 8mm films from the 1940s-1950s, purchased by someone on ebay or something, and then they made their way here to the HFA. The cans have no information on them, although at some point someone, either here or there, put sticky notes on a few that say things like “1950s water skier, horseback riding, football arena, farm horse, snowlice (rabbit kill) spring (family), baseball game.” I don’t know about you, but aside from the “snowlice” (maybe it’s supposed to say “snow/ice”), I didn’t find this a particularly evocative description. Sounded rather dull. I watched the first reel, which was OK. Beautiful Kodachrome, lovely 1950s rural scenes. People swimming in a lake, hanging out with animals on a farm, riding horses, etc.. It seemed like a family vacation reel. It was nice but nothing special. Then I watched a few more reels. I wasn’t expecting the whole box to be from the same family, but it is. The content is repetitive – spring baby animals and flowering trees, summer at the lake, swimming, bringing home dead animals from hunting, then it is winter and there is ice fishing and playing in the snow. There are a lot of people in these films – many kids and adults. One kid manages to be the star, though. The house, with its made-for-Kodachrome red doors, was a lovely recurring scene. I couldn’t quite place it geographically – it looks like New England, perhaps Vermont, but could be some other northern spot where there is water and snow and hills and trees. The mid-1950s Kodachrome film is a thing of beauty. It was a filmstock for all seasons, and this cameraperson knew it. It really showcases certain colors, transforming the natural world into art. Autumn leaves and blue skies, red doors and white snow, blue lakes and green fields. People in the films were dressed like they knew the magic of Kodachrome would preserve their visages for a century in red and black wool plaid jackets, blue cowboy shirts, and incredible bathing suits. The more films I watched, the more I loved them. Yes, the same things were recorded over and over, but there was a touching intimacy to the films in addition to their colorful beauty. The family clearly loved animals, despite killing many black bears, bobcats, white rabbits, and a few things in between. They kept sheep and cows, dogs and cats, and tamed a deer and her baby (which led to a joke scene of a hunter being stalked by a deer). In one snowy scene, a young boy is walking in front of the house with something white stuck to his chest. Is it the baby we saw in the last scene? He’s not holding the white thing, though; it’s just clinging to him somehow. The camera moves closer, and we see it is a giant white cat, which then licks the boy’s face as the film runs out. My eyes welled up. In another charming sequence, it’s lambing season, and baby lambs are jumping around all over the green pasture. Then the camera cuts to a baby crawling in the grass, dressed in white, looking like a little lamb. It’s easy to love a well-shot film. Most scenes were correctly exposed, and the addition of a finger occasionally making its way into the frame only adds drama to the proceedings – who is holding the camera now? Who usually holds it? Sometimes the film is left to run as the arm holding the camera drops, filming a topsy-turvy world, most dramatically so during a toboggan run sequence, sadly underexposed. To try to explain these films (this film?) by merely listing what has been recorded, which is often how home movies are explained in catalogs, is like doing the same for a feature film. It does not do it justice, and it does little to make sense of it unless you’re opening a stock footage mine. I wish I could somehow add smells to the description – the aroma of lobster cooking outside, the crisp autumn air, the flowering trees, the horses – the film is that evocative. The films are silent, but the sound of the projector is hypnotic. I feel like this is my own family and I feel nostalgia for this life before I was born. Kodachrome is dead. LONG LIVE KODACHROME! This entry was posted in home movies on August 26, 2016 by conservator1. Home Movie Day 2015 is just around the corner! Greetings, home movie makers and fans! It’s that time again and we hope you will join us for our annual screening of your home movies. What is Home Movie Day? For more than a decade, film archivists and the public have been convening in small spaces all over the globe and gathering around flickering images of times of yore. Grandmothers and babies, now since gone or grown, smile and wave to the camera-person as we watch them through the magical time machine of cinema. Vacations! Parties! Amateur theatricals! There is always something interesting and funny to watch, and we hope you will join us for this year’s event. This year the Boston area HMD 13 will be held at the New England Historic Genealogical Society (NEHGS) in Boston’s Back Bay. early film drop off encouraged at the HFA offices in the lower level of the Carpenter Center, Harvard University, or by 3pm on October 17 at NEHGS. Films will be inspected for damage prior to projection, so please drop-off early. In related news, this week we will be participating in #AskAnArchivist Day on Thursday, October 1st! This event is sponsored by the Society of American Archivists, and is an opportunity for everyone to reach out with questions about the archives on social media. We will be anticipating YOUR questions, which you can post on Thursday to the Harvard Film Archive Facebook page! This is a great chance to ask us anything about Home Movie Day, how we process our archival collections, or the most oddball items that we have found in the archive. No question is too big or too small! This entry was posted in HFA events, home movies on September 28, 2015 by conservator3. 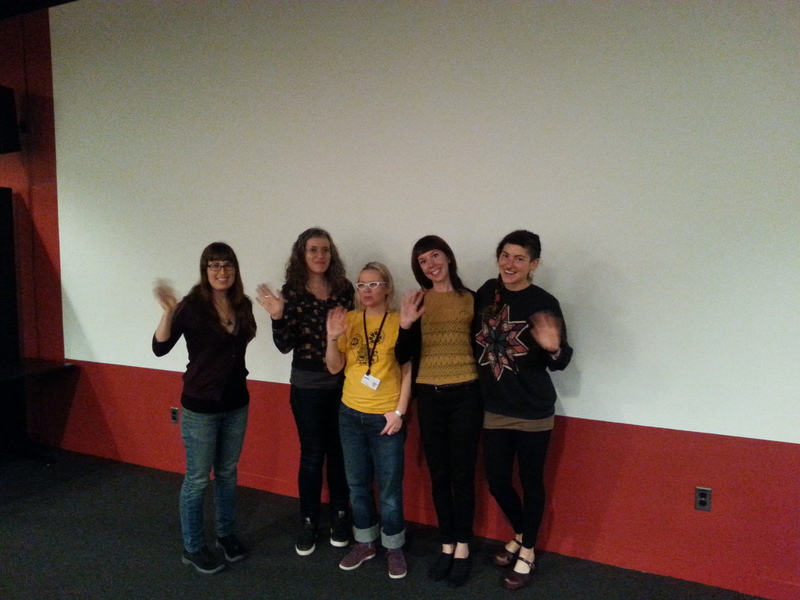 Greetings, home movie makers and fans! We hope you will join us for our yearly screening of your home movies this Saturday, October 18. What *is* Home Movie Day? 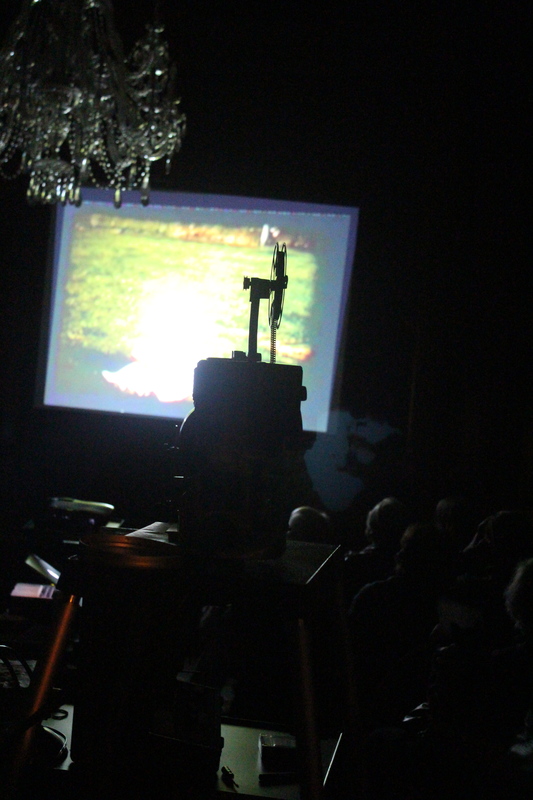 Home Movie Day is a celebration of amateur films and filmmaking held annually at venues worldwide. Home Movie Day events provide the opportunity for individuals and families to see and share their home movies with an audience of their community, and to see their neighbor’s in turn. 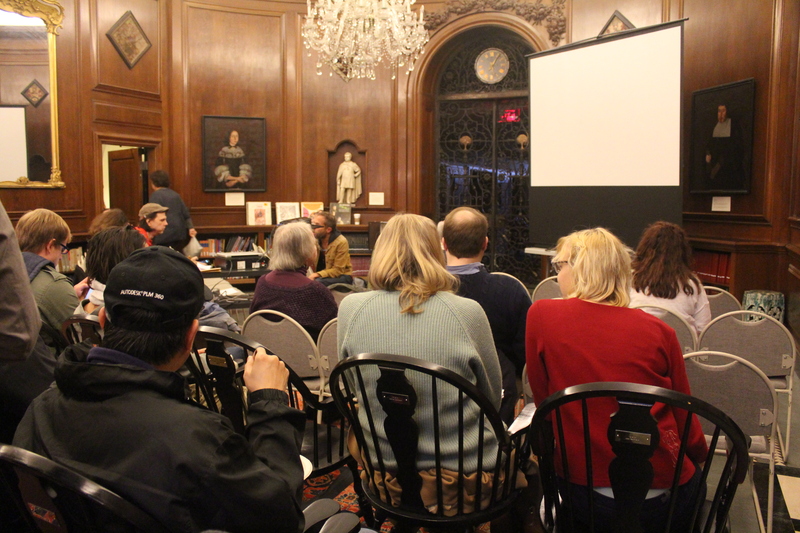 For well over a decade, film lovers, film archivists and the general public have been convening in small spaces in the Boston area and all over the globe, gathering around flickering images of times of yore. Grandparents and babies, now since gone or grown, smile and wave to the camera as we watch them through the magical time machine of cinema. There is always something interesting and funny to watch, and we hope you will join us for this year’s event. 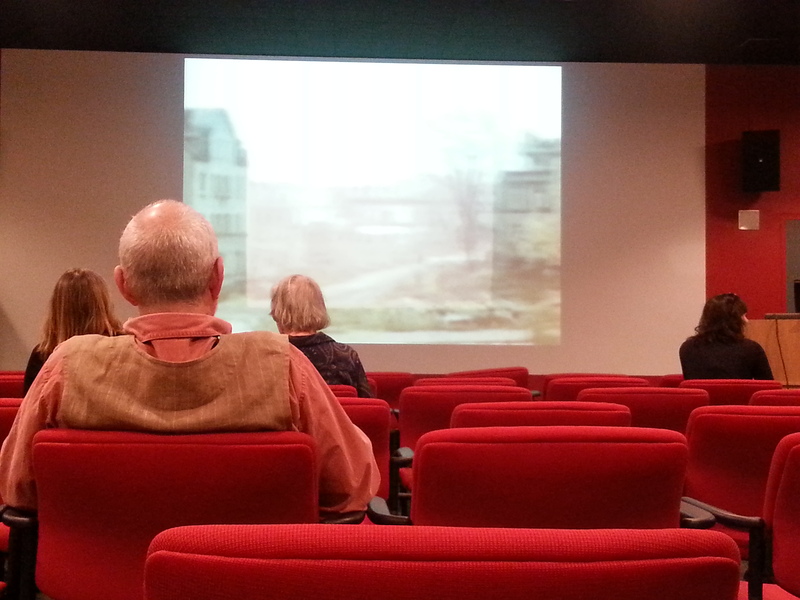 The Boston area 12th annual Home Movie Day will be held at the Harvard Film Archive on Saturday, October 18, 2014. Early film drop off encouraged, at the HFA offices in the lower level of the Carpenter Center, Harvard University. Formats accepted: 8mm, super 8, 16mm, VHS, DVD, digital files (playable via laptop). Video and digital versions have a 5 minute limit. Please cue your tapes if possible. Films will be inspected for damage prior to projection, so please drop them off as early as possible. Here is our facebook event page. We hope to see you and your movies this weekend! This entry was posted in home movies on October 15, 2014 by conservator1. Home Movie Day 2013 is just around the corner! Greetings, home movie makers and fans! 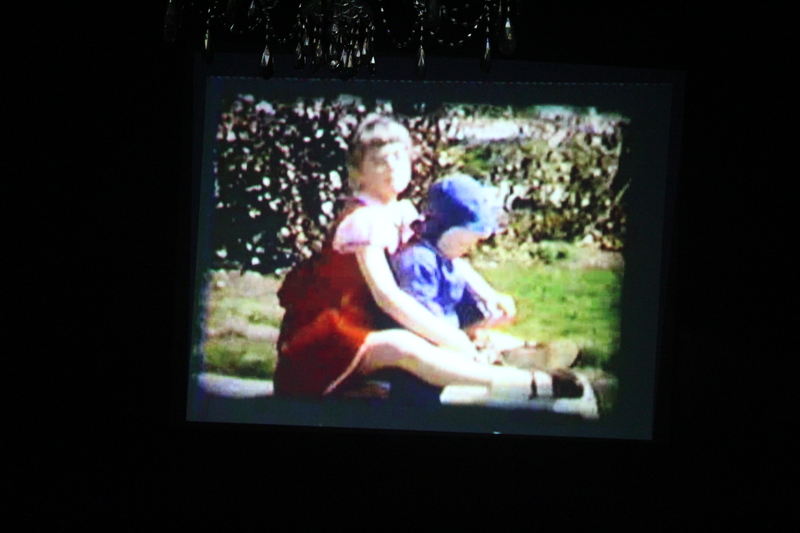 We hope you will join us for our yearly screening of your home movies on Saturday, October 26. What is Home Movie Day?For more than a decade, film archivists and the public have been convening in small spaces all over the globe and gathering around flickering images of times of yore. Grandmothers and babies, now since gone or grown, smile and wave to the camera-person as we watch them through the magical time machine of cinema.Vacations! There is always something interesting and funny to watch, and we hope you will join us for this year’s event. The Boston area HMD 11 will be held at SCATV in Union Square, Somerville. early film drop off encouraged, either at SCATV or HFA offices in the lower level of the Carpenter Center, Harvard University. We hope to see you and your movies next weekend! This entry was posted in home movies, super 8 on October 18, 2013 by conservator1. We’re pleased to announce Saturday, October 20th, the HFA will host, in conjunction with Somerville Community Access Television (SCATV), the 10th annual Boston area Home Movie Day. The event will take place in Somerville’s Union Square, at SCATV, 90 Union Square. Union Square is served by several bus lines, including the 86 and 69 from Harvard Square, and the 91 from Central Square in Cambridge. Each year we discover new treasures at Home Movie Day. We’ve seen teenage versions of spy movies, lovingly shot family films of children long since grown, travels to exotic and not so exotic lands, and everything in between. Read about 2010’s event here. Thanks to the Globe for Sunday’s article, which you can read here. Why home movies? Because these little films, yours, or your grandma’s, or the ones you found at the dump, are unique and personal, potentially interesting, funny, pretty, fascinating and strange, and certainly worth a watch. Be the star of the show! We provide the screen, projectors, projectionists, film inspectors, music, and information about film preservation and home movies in general, you provide the films. The films you bring can be new or old (but don’t bring films we’ve shown at Home Movie Days past), they can belong to you or someone else. They should be amateur (not mass-produced), but those are the only guidelines. We can show your home movies on super 8, 8mm, 16mm, VHS, DVD, or other video format. Video is limited to 5 minutes. 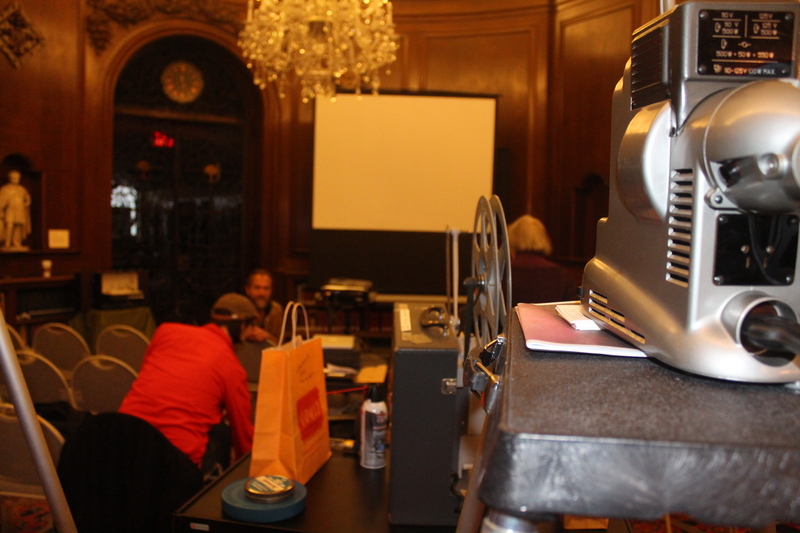 Local film archivists will be on hand to discuss home movie preservation. Each film must be inspected for damage before being run on a projector, so please drop off your film as early as you can. If possible, drop off your film at the HFA office or SCATV the week prior to the event. This entry was posted in home movies on October 15, 2012 by conservator1.